Level 5 Diploma in Business Management is a 120 credit qualification. This course is designed to give practical and professional knowledge needed to succeed in highly competitive business or management sectors. 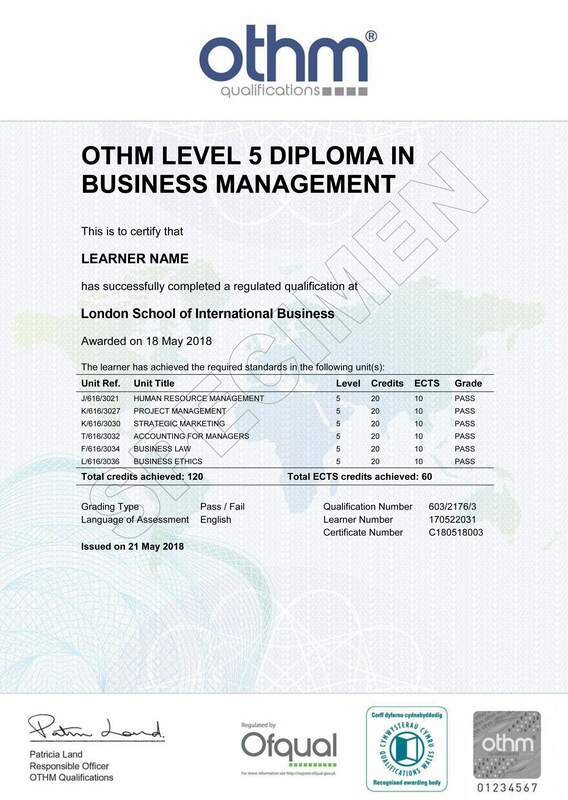 The Level 5 Diploma in Business Management qualification is to provide learners with an excellent foundation for a career in a range of organisations. It designed to ensure that each learner is business ready, confident, independent thinker with a detailed knowledge of business and management, and equipped with the skills to adapt rapidly to change.